Unable to Build Through the Winter Months? Whilst the 2016/2017 weather has been mild to date the weather channels are predicting a big freeze at the weekend which will coincide with Svenskhomes most recent build project of another 160m two storey house on the fairways lakes development, starting Monday 16th January. Once upon a time this doom filled forecasts would spell woe for a building project, and typically building would be delayed to the spring to avoid the freezing temperatures and the short daylight hours. However, this is not a worry for the building of a Svenskhome! 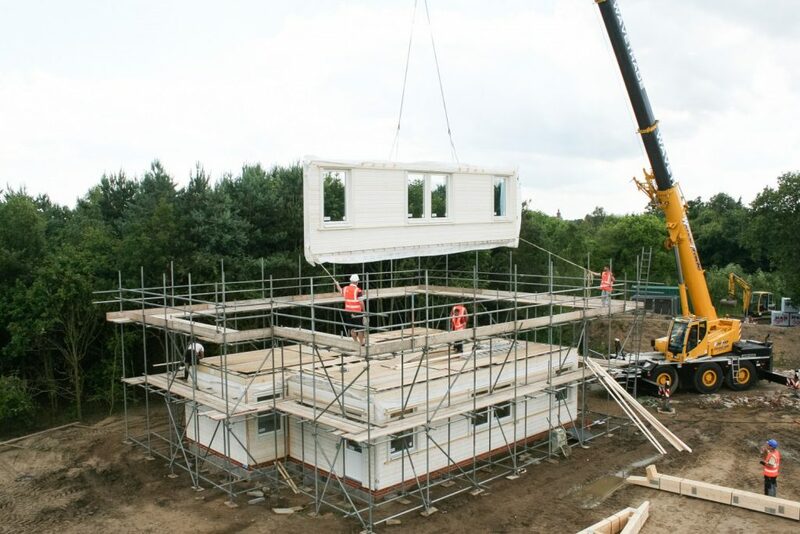 A primary benefit of off-site construction methods is the reduction of work required on site. The typical Svenskhomes closed panel timber frame house will be erected in just a matter of days with the construction process not beholden to freezing temperatures, falling rain or the dreaded snowfall. Once the superstructure is installed trades can then work in a secure, dry environment which using site lighting can ensure the build process to continue in earnest. In fact building through the winter can be a positive as there tends to be more tradesman availability, also benefiting from completion works being undertaken in the Spring which is ideal for landscaping works and finally moving into your new home. So don’t let the weather forecast get you down, Svenskhomes certainly won’t and look forward to posting images of our latest project under construction on what is predicted to be the coldest day of January 2017. See how quickly your new Svenskhome could be constructed by watching a recent installation that we completed in autumn of 2016 on this time-lapse video. Svenskhomes are delighted to receive the NHBC’s recognition for the quality of our offsite construction / sustainable building techniques, where we concentrate on thermal performance and energy efficiency. The Westleton property received an A-Rated 95 EPC which is quickly becoming our standard EPC result. @KinedobySaniflo Typically 10 -14 weeks to complete depending on finishes and what floor screed method is specified. @KinedobySaniflo That's correct @KinedobySaniflo Day 2 of building the superstructure, hopefully we will get sarking-boards and felt on today!